As we all recover from the onslaught of quilt market overload, either for those of you who are/were there in person, or those of us scrolling through endless Instagram eye candy and Periscope broadcast pop ups (or just for fun, for those of you who manage to avoid all talk of International Quilt Market), it’s time for the fun virtual quilt show hosted annually by Amy’s Creative Side: Bloggers Quilt Festival. This year, I’m entering my quilt Unlocked into the Large Quilt Category. It is also an original design, but I figured I’d go by the old adage “go big or go home”. 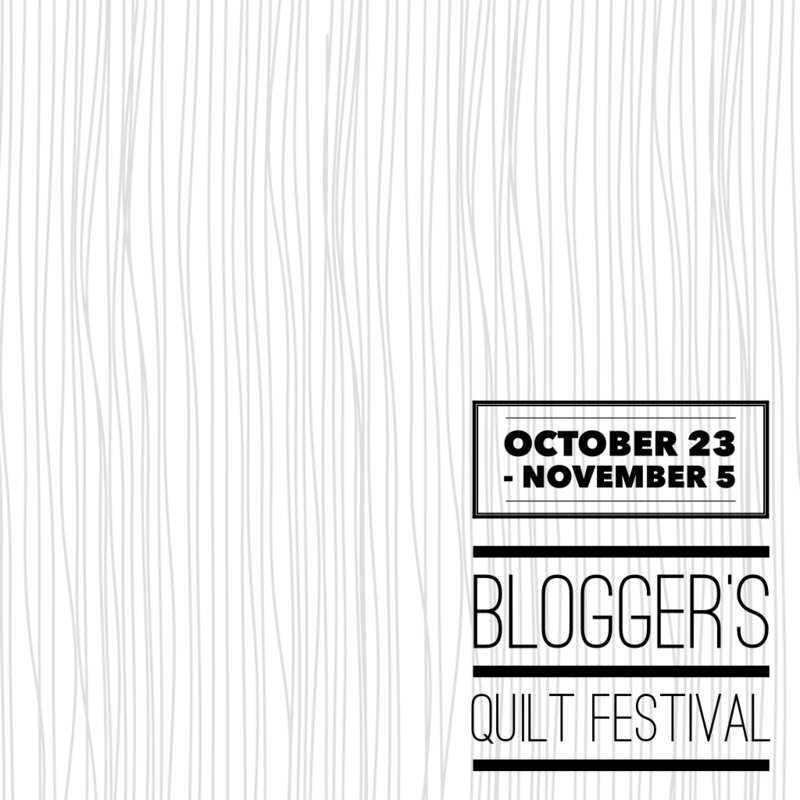 Plus, I find it somewhat comical that I will be entering the festival with a large quilt (250″ around) and a 4″ square mini mini. The draw of that dichotomy may have played a large role in my category-decision making process. As regular readers may remember, Unlocked is my quilt magazine publication debut pattern, available in the September issue of Make Modern magazine, and will be available for individual sale in my Craftsy shop in early November. 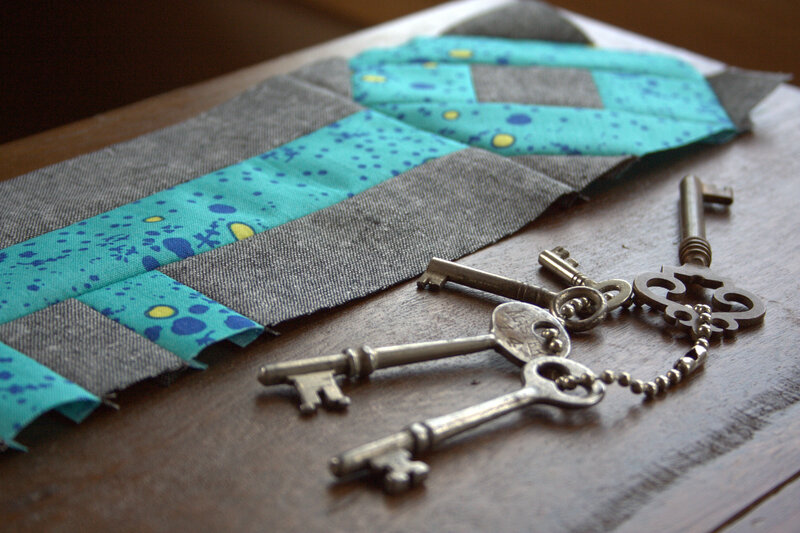 It is a quick and easy quilt featuring a column of rainbow keys and lots of yummy negative space. 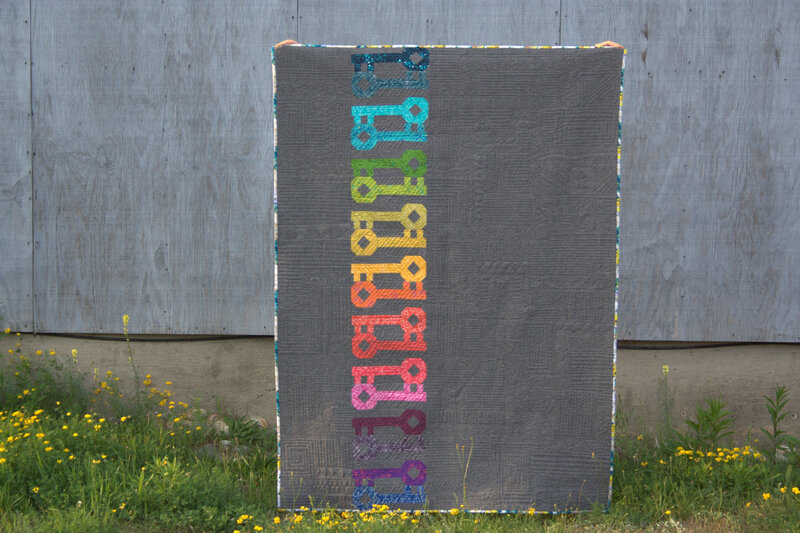 It measures 53″x72″, resulting in a 250″ perimeter and qualifying it for the Large Quilt Category. 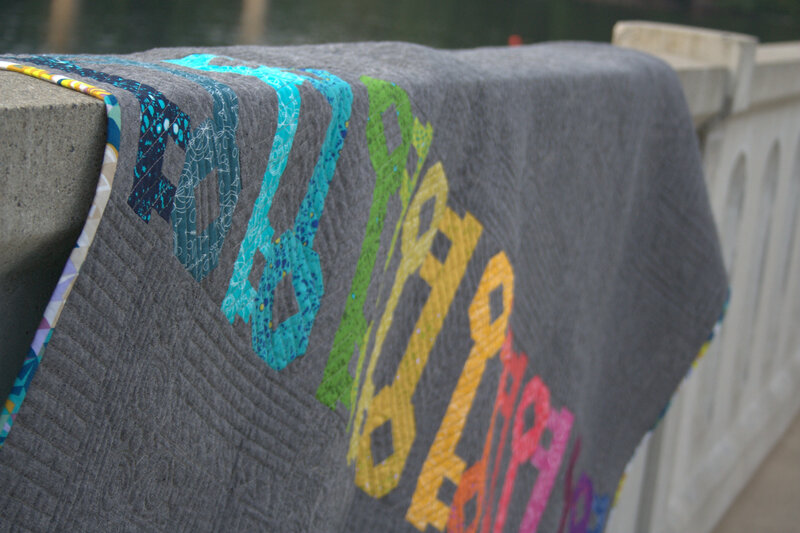 Unlocked was longarm quilted by my friend Stephanie at Late Night Quilter, and boy did she take full of advantage of that negative space! 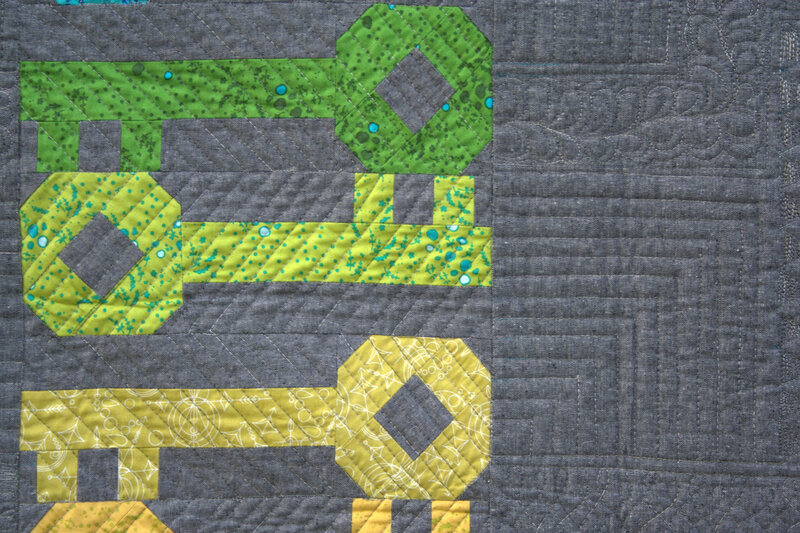 She used the Cityscape Path straight line quilting style designed by Krista Withers and photos don’t even come close to doing it justice. Many thanks to Amy for organizing such a fun gathering of quilty goodness that we can all appreciate from afar, even while in our jammies! it’s really great – simple but lovely. great job. There are so many categories that you could have entered this into; I am glad to hear you plan to enter something into the ROYGBIV category! 🙂 This is a stunning quilt, and I am appreciating the texture of your background fabric a lot in this viewing. Alas, it is your unlocked quilt!! That makes so much more sense anyways. Congratulations again on your debut magazine pattern. It is beautiful and thoughtfully designed. 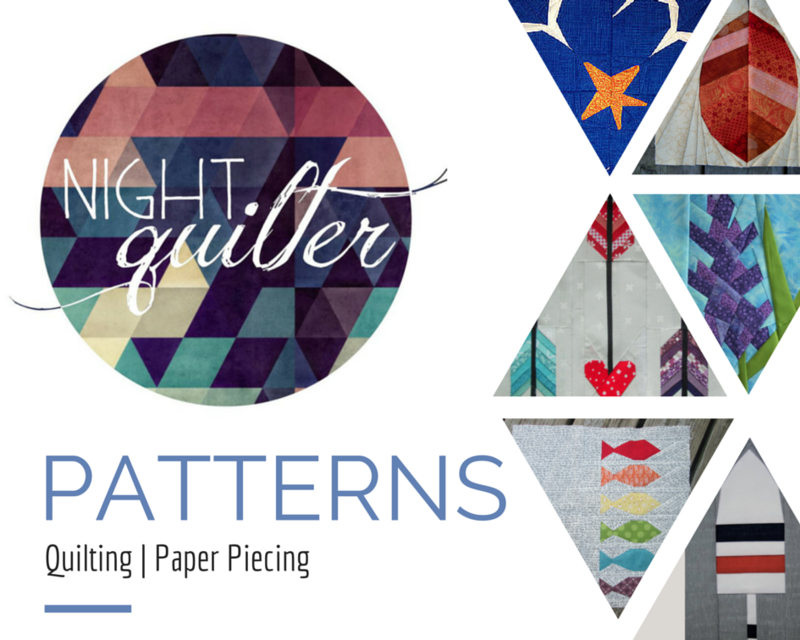 Trying to decide which category to enter a quilt can be half the battle. This is such a fun quilt. Good luck! So glad you linked this one up – it’s really fun. I’m having a great time hopping around the festival finding new bloggers but it’s always a great feeling to see familiar entries too!